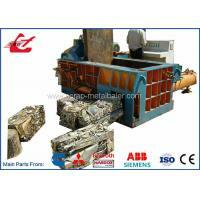 Our Scrap Metal Compactor also named Scrap Metal Baler and hydraulic metal baler are applicable in recycling companies, steel plants, ferrous & non-ferrous smelting industry to press metal scrap (scrap steel, scrap cars, scrap copper, scrap aluminum, scrap stainless steel, discarded automobiles, metal sheet, steel scrap iron) into acceptable furnace charges, so as to reduce cost of transportation to speed up furnace charging. 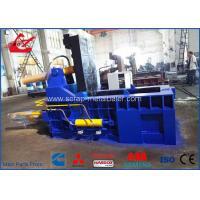 Our scrap metal baler is configured with shearing blades on the lid and sides of compress room. 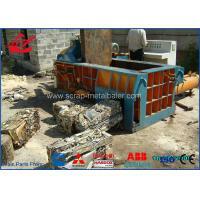 Therefore, the large sized material can be cut first and then be compressed. The bale discharging method is side push out, improving the safety of operation and making the bale convenient for transportation. 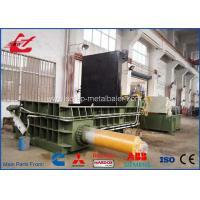 1) This side push out baler adopts the hydraulic drive system, reasonable design and compact structure. It is characterized by small volume, light weight, small inertia of movement, low noise, high moving stability, operating flexibility and other strong points. 2) With the incorporated hydraulic and electrical control, this machine is user-friendly and it is easy to realize the overload protection. 3) It is well adapted to different working conditions and has wide applicable range, like processing equipment in the metal recycling and processing unit, furnace charge processing machine in foundry, etc. 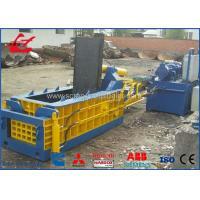 4) Our side push out baler is energy saving, convenient for installation, safe, reliable and efficient while working. 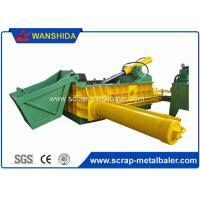 At first, the waste material for baling should be loaded into the compacting box manually or mechanically. 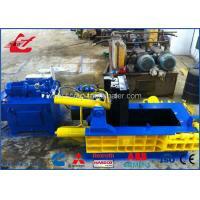 The Lid cylinder starts to revolve the Lid to the right position for sealing the compacting box completely. 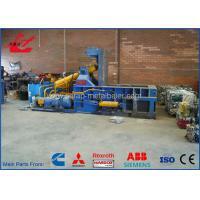 Then the ejectors of the side cylinder and the main cylinder squeeze the waste materials into bale. Relying on the locking door cylinder, the locking door will be opened. 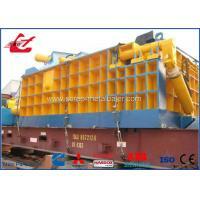 The ejector of the main cylinder will push the bale out of the compacting box, finishing the baling process. 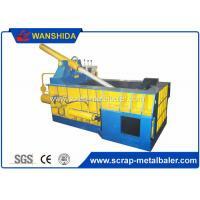 Jiangsu Wanshida Hydraulic Machinery Co., Ltd (Jiangyin Merceko International Trade Co., Ltd.)is reputed enterprise in recycling machinery industry, and specialized in producing the metal balers, metal shears, car balers, baler shears, metal scrap briquette machines, loose material baler, metal shredders and other hydraulic machinery in China, as well as in Asia. 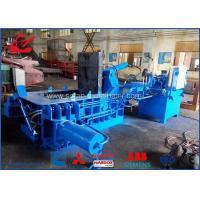 We provide both standard and customized design in large range of different machines. They are widely applied in the industries of metal smelting, textile, fiber, paper-making, waste recycle, Automobile, metal processing and so on. Our products are not only renowned in more than 30 provinces and cities in domestic markets, but also have being sold popularly in more than 70 countries and areas all over the world like Eastern Europe, West Europe, Middle East, Africa, South Asia, Southeast Asia, Oceania, North America and South America etc. 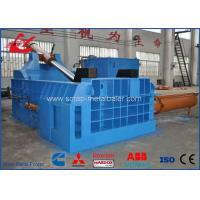 Jiangsu Wanshida Hydraulic Machinery Co., Ltd was established in 1985, and we researched and produced the first set of hydraulic metal baler in domestic in the same year. In order to enlarge our overseas market and improve our "Wanshida"Brand, we especially established our trade company------- Jiangyin Merceko International Trade Co., Ltd.
We always improve our quality management system. And we have passed the certificate of ISO 9001:2008 Quality Management System and CE certification. Looking forward to the future, Merceko expects to cooperate with you for greater achievements.